Investing in rental property is an avenue that is not for the feign of heart. And while it is not as 'glamorous' per say as flipping houses, it can be a steady and stable way to invest for short and long term wealth. There's a certain amount of control that comes to buy and hold investors that allows them to sleep at night and know that there money is working for them and their future. While investing in rental property is definitely a risk (as is any investment) the appealing thing about rentals is that if you know how to find good deals and run the numbers right, then you should go into each investment knowing that, unless catastrophe strikes, you will make money. 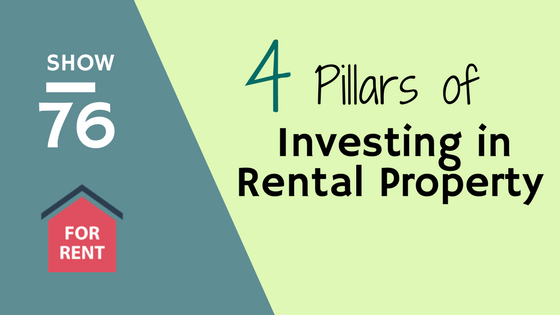 In this show, Kirk and I decided to go back to the foundational pillars of investing in rentals. What are the major pieces of the rental puzzle that attract people to choosing this slow and steady road? We break down how principal pay down, tax deductions, cash flow and appreciation offer buy and hold investors multiple beneficial perks to rentals. Join our waiting list to be the first to know when our upcoming workshop goes live. Our ZerotoProperty workshop focuses on 'how to buy your first rental property' and is packed with awesome content. Grab a spot on our waiting list to get a coupon for a discount on the workshop. Click here to get early access.